International Forum for Wellbeing in Pregnancy (IFWIP) and the World Health Innovation Summit (WHIS) have joined hands to develop and deliver a unique world-class Global Pregnancy Wellbeing Programme based on health education, health promotion, and disease prevention approach, designed in alignment with the values and principles of United Nations (UN) Sustainable Development Goal (SDG 3). Stress and mental health conditions during pregnancy are quite common, affecting at least 1 in 5 women. Perinatal Mental Health conditions are one of the leading causes of Maternal death in all across the world. Research shows that stress during pregnancy can lead to various pregnancy complications and can affect the lifestyle and relationships. Moreover, the psychological wellbeing in pregnancy can play an important role in long-term effects on the infant and child development, especially in terms of their later emotional and behavioural adjustment. The financial burden of the perinatal mental health conditions is huge. For example, estimated Economic costs per year in the UK for Perinatal depression, anxiety and psychosis are about £8.1 billion. Nearly three-quarters (72%) of this cost relates to adverse impacts on the child rather than the mother. Over a fifth of total costs (£1.7 billion) are borne by the public sector, with the bulk of these falling on the NHS and social services (£1.2 billion). Other costs include loss of earnings/impact on someone’s ability to work and quality of life effects. International Forum for Wellbeing In Pregnancy (IFWIP) in partnership with the World Health Innovation Summit (WHIS) aims to address the above challenges in the current healthcare service by setting up a unique Pregnancy Wellbeing Programme to provide evidence-based health information, tools and practical guidance. With the combined global expertise, leadership and vision both of the two world-class organisations, the programme would be suitable for a modern diverse multicultural society and busy life and accessible to everyone. The other objective of this initiative is to unite all the wellness activities locally, nationally and globally. “Empowering local community, creating local wellbeing programmes tailor-made to the local needs is of utmost importance to achieve the best result,” Dr Gangopadhyay added. International Forum for Wellbeing In Pregnancy (IFWIP) is a global initiative to create a society where every single mother (and her family) gets the most recent evidence-based scientific information, care and support with regards to wellbeing during pregnancy. 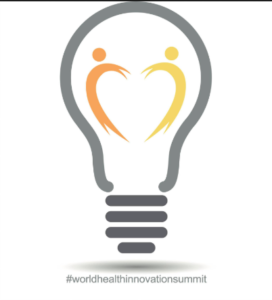 World Health Innovation Summit aims to relieve the pressures on health services by giving our communities the tools to take care of their own physical and mental well-being… from childhood through to old age. Right fertile shall blossom right citizens, which is beyond money.